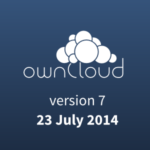 We’re about a week away from the release of ownCloud Server 8.1! There is much that is new and improved in this release and we need your help to make sure everybody knows. Much of the conversation around ownCloud happens over social media. And it is your advocacy that will help others find out about the release! You can re-tweet and share the messages we put out on our Facebook, Diaspora, Twitter and Google Plus accounts and join in on the discussion about ownCloud Server 8.1 with hashtag #owncloud on Twitter, Google+, Diaspora and Facebook! A very important area where we could us your help is with submissions to news sites. 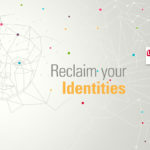 That includes the likes of Slashdot, reddit and many others you can think of, especially those in your local language– they should have a post about the ownCloud release and you can make that happen! This release marks significant under the hood improvements, increasing scalability and performance of syncing and file operations while making ownCloud a better platform for developers to build upon. Security enhancements, integrated documentation links and more control in the admin panel over external storage, LDAP and encryption make ownCloud more secure and easier to use. The link starts working on Tuesday the 7th, when we publish the release. Another important link, also not yet working, will be http://owncloud.org/eight-one which is where you can find an overview of all the improvements in ownCloud 8.1! These banners will get updated whenever a new release is coming or has been published, so you don’t need to change anything once they are up. 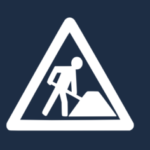 The upcoming ownCloud Server 8.1 matters. The release brings many improvements (that link is going live on release day!) and we’re very proud of what is coming. Of course, in preparation of the release, you should plan on joining (or organizing) a release party to meet fellow ownClouders in real life and discuss all this awesomeness.